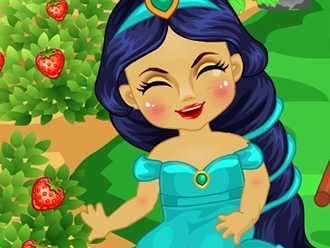 Baby princess Jasmine is a good gardener and she has a huge garden with strawberries at her backyard. Help her to gather strawberries and feed her when she is hungry. Play with her and her cat. Than go to house and have fun with her while watching Tv.